When you experience a home flood, you are most likely going to need the helping hands of our water damage Archdale team at 911 Restoration Greensboro. Our Archdale water cleanup staff is available 24/7/365, so you can call us virtually any time and we well get workers to your home within 45 minutes or less. We understand the importance of a fast assistance during a water crisis, so our Archdale floodwater removal techs always implement same day services. Call us the moment you discover water in your home’s interior, and our Archdale water extraction operation will be at your door in no time to get you a free home inspection. It can be an arduous task to live in a construction zone, especially if your home has experienced significant damage and requires extensive renovations. Our water damage Archdale unit want to make you as at ease as possible during this time, which requires us to provide you with excellent customer service. We will help you with everything, from getting your home in tip top shape, to guiding you through the insurance process. Our Archdale plumbing workers will file your claim for you and do all they can to get you the coverage you deserve. To get assistance with attic and roof related water damage issues, call our Archdale leak damage eradication technicians with 911 Restoration Greensboro today! The most difficult leaks to locate are on top of the roof. Not only is this because it is hard to literally see on the high plain, but also because water spots do not always correlate to where the actual leak is. Our water damage Archdale experts will check your roof for you. We know how to conduct a thorough inspection, which includes checking to see if there is vapor barrier between the ceiling drywall and the insulation in the attic. By moving the insulation you will be able to better see water stains on the actual plastic. Usually water streams in to vapor barrier through light fixtures in the ceiling. Another cause of leakage could be if nails are missing from the framing. If your attic is cold (which it usually is) and condensation forms, then it can accumulate onto the nails. This water will then freeze when the temperature drops. Your attic will warm up, even if it is jus slightly, during the day, which will melt the frosted condensation that was on the nails, which will drop into the home.By clipping the nails with side-cutting pliers then you can reduce this leakage. 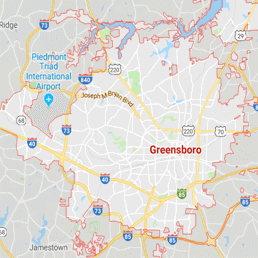 Call our water damage Archdale team with 911 Restoration Greensboro and we will guarantee that you get affordable water damage restoration from a competent source today!